I don't really have a green thumb. Most flowers that I grow (or am given) seem to die pretty quickly, so I love to do flower themed crafts and activities with my kids instead! Today I am featuring a few flower themed projects that we've done at Toddler Approved. One of my favorites is the felt flowers on a string necklace that EJ shared. Every time I see it I want to put on a flower necklace and fly somewhere tropical. Hopefully these flower projects will brighten up your weekend, whether or not it is Spring where you live. 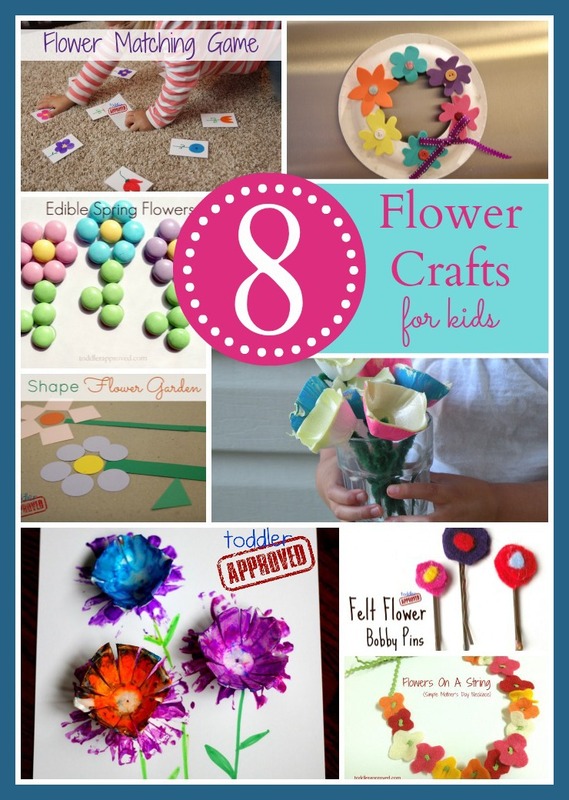 What other flower crafts or activities have you done recently? Btw, don't forget about our Usborne eShow and Giveaway- there are so many amazing books to check out! Only ONE more day till the show closes!